David Lachapelle, the great american artist and photographer, came back, after more than fifteen year, at Palazzo delle Esposizioni with one of the most important and exhaustive retrospective. There were 100 works on view, some presented for first time in a museum including many large-scale works. Rome has been a milestone in the artistic life of David LaChapelle. In 2006, during a journey in Italy, the artist has the chance of a private visit of the Sistine Chapel; his artistic sensibility is so unsettled by the beauty and power of Roman art that those elements give the ultimate drive to the necessity of a change of his artistic production. Until then LaChapelle preferred that his photos would be published on fashion magazines and books, without critical texts. The goal has never been to restrict to the mere picture, but to reach the broader audience as possible – this is the way to be a pop artist – and lead the lecture of his work on emotional shock level. 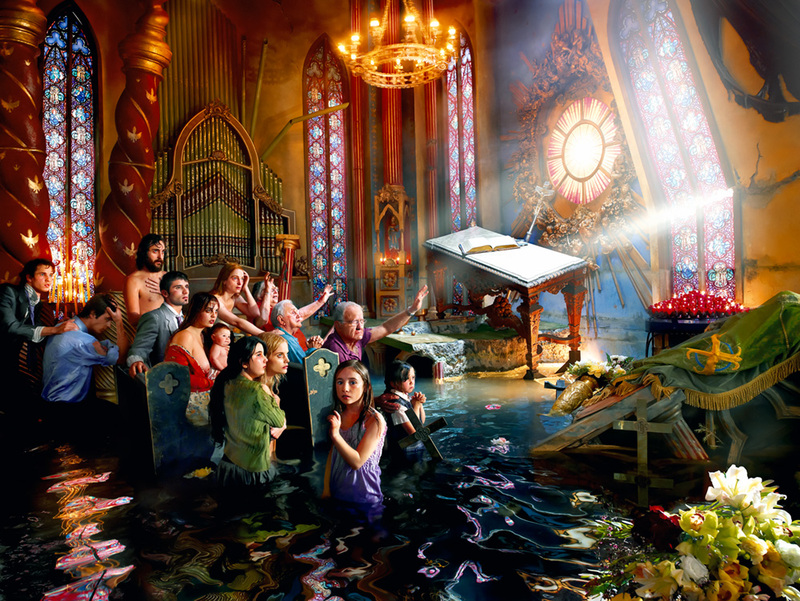 LaChapelle pushed his aesthetics to the limit, but in 2006 walked out on the scene. He turned away from worldliness in order to live in a wild island in the middle of the Pacific Ocean “I said what I wanted to say”. 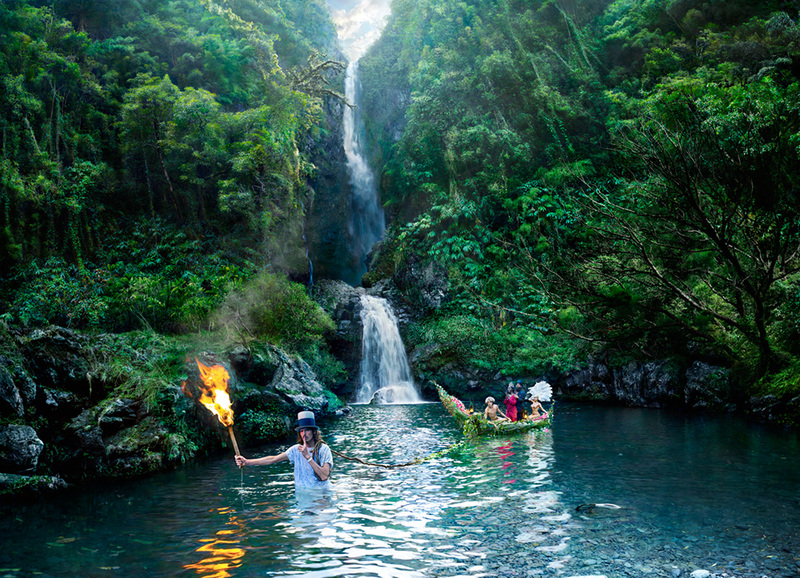 The exhibition will focus on the works realized by the artist starting from 2006, when he produces the monumental series titled The Deluge, which leads to a meaningful turning point in the artistic path of David LaChapelle. Through the realization of The Deluge, modeled after Michelangelo’s impressive fresco in the Sistine Chapel, the artist returns to conceiving works with the unique purpose to exhibit in art galleries and in museums. A work that is not commissioned and destined to the pages of a fashion magazine or an advertising campaign. After The Deluge, the American photographer begins to produce artwork with new aesthetical and conceptual concerns. The most evident sign of the change is the vanishing of the human presence in the serial works: the living models, that in all the previous works (the only exception is The Electric Chair, 2001, personal interpretation of Andy Warhol’s famous artwork) have had a central part in the composition and in the message embodied by the image, disappear. 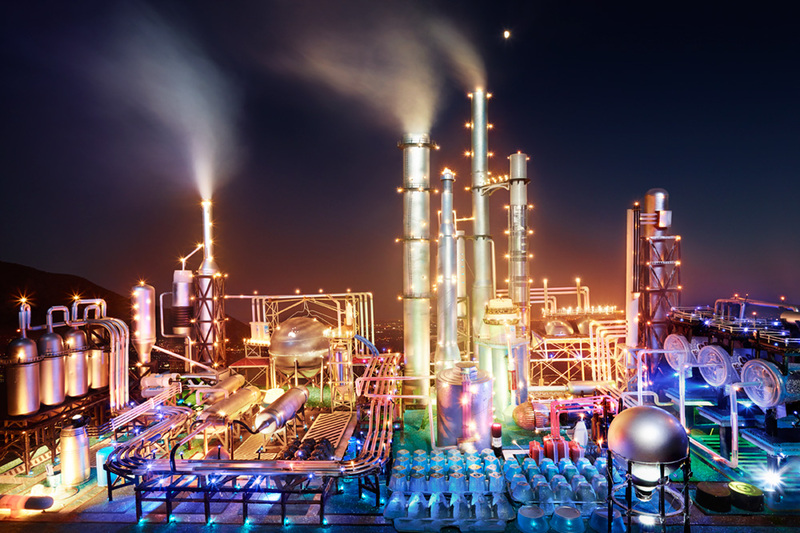 The Car Crash, Negative Currencies, The Earth Laughs in Flowers, Gas Stations, Land Scapes, up to the most recent Aristocracy series, follow this new aesthetic choice: LaChapelle resoundingly deletes the flesh, what was the previously identifiable element of his art. To allow the public to know the “origins” of LaChapelle work before The Deluge, the exhibition included a selection of some artworks that contained portraits of celebrities, from music to fashion and movies, scenes based on religious themes with surrealistic touches, references to masterpieces of art history and cinema, an artistic production defined by the chromatic saturation and movement, with which the American photographer reached his particular aesthetical style and influenced many artists of the following generations. In the exhibition there was also a projection space dedicated to the backstage videos, which, describing the composite process of photo sets construction, clearly revealed as that the artist’s role is extended also to direction and scenic design of his own photos.